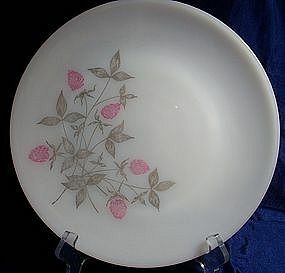 MacBeth Evans American Sweetheart 12" Salver plate in pink. 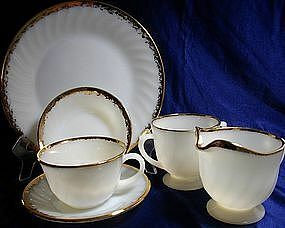 This plate is in very good condition, no chips or cracks that I can feel. A wonderful addition to your collection! 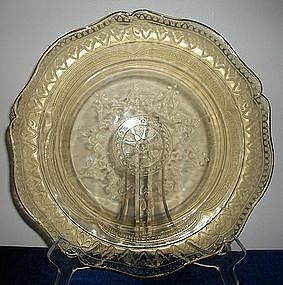 Federal Glass Patrician pattern 11" dinner plate in amber. 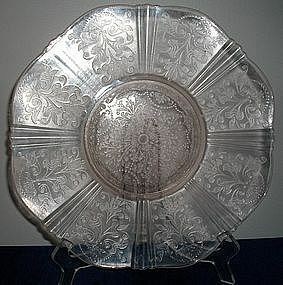 The plate has 3 very tiny chips on the inside rim and one larger in the same area. Some light utensil marks. 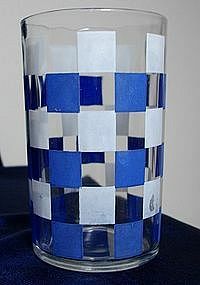 Still a very nice piece, still looks great! 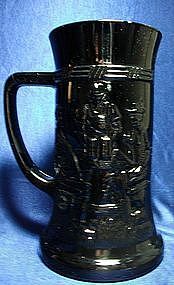 From Federal Glass is this gorgeous Pub Pattern Stein in Black. 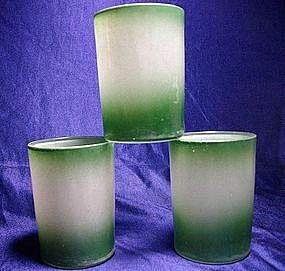 I has a raised design of 3 people around a table, 2 sitting at the table, one standing serving glasses of ale. 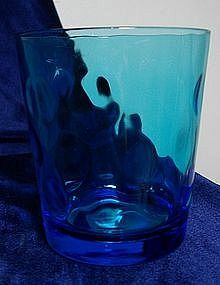 Truly beautiful piece. 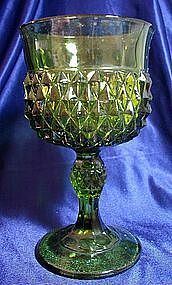 Excellent condition, there is a manufacturer flaw that resembles a very small chip on the rim. 6" tall. 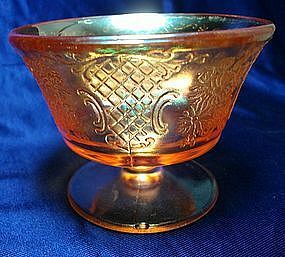 From Federal Glass is this amber irridescent sherbet glass in Normandie pattern. 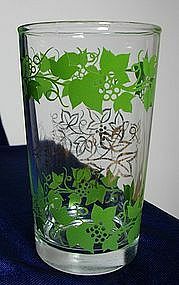 Features florals with lattice and scroll design. This item does have a small chip on the foot as can be seen in the front on the photo. A little over 1/8". Still a great piece! 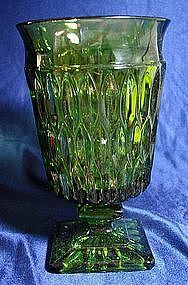 Jeanette Glass Green Hellenic Pattern 10 oz flat tumblers. 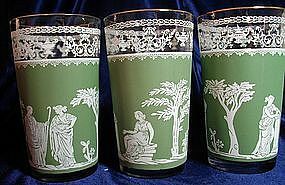 3 available, nice condition. 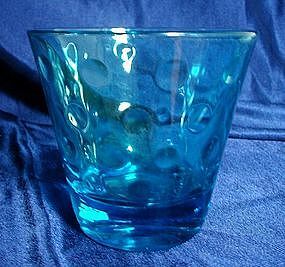 Hazel Atlas popular Capri Blue Dots Tumbler in very nice condition, 3 1/4" high. 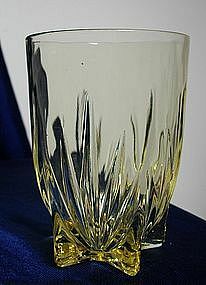 Also available are 2 double shot size in clear. 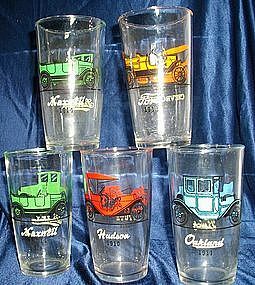 From Hazel Atlas, Glass Tumblers with Vintage Cars, I have a green Studebaker/Maxwell, red Hudson/Stutz, Orange Ford/Chevrolet and blue Buick/Oakland. Buy one or all, they are in great condition. 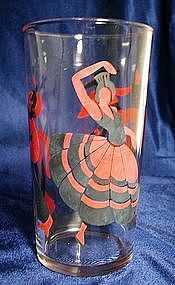 Hazel Atlas Flamenco Dancers Glass Tumbler in Black and Red. 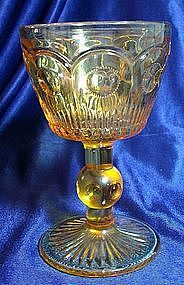 2 5/8" diameter, 4 3/4" tall, nice condition.